Copyright © Renton Technical College. All rights reserved. Welcome to the Renton Technical College Online Catalog! 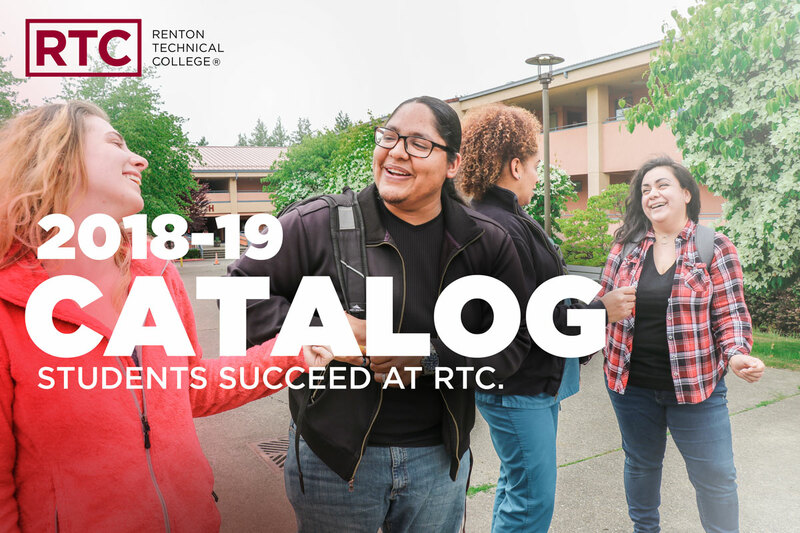 The Renton Technical College Catalog is your official source for college information, programs, courses, and resources offered at RTC. RTC’s online catalog contains general information on Admissions, Registration, Student Services, and Financial Aid. The instructions below explain how to access program, course and other catalog information. The sections of the online catalog can be navigated to by clicking on the links located on the left hand side of the webpage. The search bar is located on the top of the left hand navigation bar. Easily explore programs by area of study, or alphabetically. Programs are listed by program title and show the degree or certificate options. Clicking on a program will display the program description, program length and credits, and quarterly class requirements. For more information on an individual course, click on the course title to expand the detailed course information and description. Courses are listed alphabetically by course division in the Course Description section located on the left hand side of the catalog. Descriptions are listed alphabetically, and can also be filtered by course prefix (division), course number, type, or keyword. Once you have selected a course, you can see all of the available course information - course title, number of credits, prerequisites and corequisites, and learning outcomes. Scheduling information is available in the RTC Quarterly Class Schedules available at http://www.rtc.edu/Class-Schedule-Publications . All catalogs © 2019 Renton Technical College. Powered by the Acalog™ Academic Catalog Management System™ (ACMS™).